We work hard for your business by providing custom services that can help you succeed. We understand that technology should assist and not hinder your business objectives. Globalink Inc. provides technical consulting, engineering and system design services in addition to various hosted services. Our programmers can also help customize your web applications to meet your needs. There are many facets to the Information Technology business and we try hard to help make it all work together for you. Our wholesale termination service is included with any of our reseller plans. You can view your call history online and automatically recharge funds in your Globalink VoIP Billing Web Control Panel. You will be given a reseller wholesale account to use to terminate your traffic using our Globalink Billing Voip Soft Switch. You can have sub accounts and will be able offer automatic markup of rates. The funds will available under your account for use once we receive your payment. You can rent our switch and setup your own least-cost call routing, control your billing intervals, manage your sip ports, setup sub-resellers, carriers etc. Our virtual partition of our switch will allow you to become your own phone company without buying expensive server hardware. The virtual partion or reseller enterprise server will allow with direct links to carriers and complete management of your call routes, gateways etc. You will have your own ip address and able to setup your own port address under your own domain name. If you want to start your own VoIP Phone company anywhere in the world without major hardware investment, the Globalink Managed VoIP Switch is what you need. We will manage the back-end VoIP services for you. We will provide you a virtual softswitch that can handle all the termination, billing and provisioning of your services. You can easily add local gateways as a node on this switch and extend your your voip footprint anywhere in the world. With local gateways, you can provide local phone numbers and local termination and route all international termination on our network. You will have full control of your call details records (cdr) and have the system handle all your client billing on your own merchant account. In the past each call on PSTN (traditional phone service) had to hold a line open to make a connection. We do not limit or charge the number of outbound extensions or virtual trunks you can have. So you can setup an automated answering service or auto attendant on your main number or did and allow the hosted pbx service to answer and transfer your calls. For business class service, we recommend Quality of Service (QoS) is implemented from the client site to our data center. We provide fax dids in select rate centers that support the fax codec to allow fax2email service on our Globalink Managed VoIP Switch. For US Customers who need 911 services, please contact us for details and requirements. We offer custom engineering service that ensures your business clients of quality business class service. Our Voice-OVer-IP (VoIP) and Network Engineers will be happy to work with you to accomplish your goals. We can provision the internet access circuits, routers, firewalls, softswitches, voip gateways, servers and everything in-between that makes it all work together seemlessly. We provide engineering services to setup your own local phone numbers in your own country using our equipment. You can purchase US, Canada, Europe, South America, Asia and other international phone numbers via our automated web interface. Our hosted private label voip soft switch includes automated international DID provisioning, number porting and hosted pbx services. Special pricing is available for qualified high volume wholesalers. You can order your international phone numbers online with our custom api and your dids will be instantly activated for use. For high volume users, we recommend our virtual channel bank. Our virtual channels or sip trunks allow unlimited inbound US calls. You can then assign as many dids as you wish to your virtual channel banks. 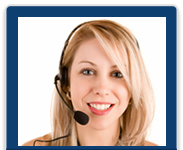 Our toll free numbers have no limit on inbound calls. Special discounted pricing is based on quantity of purchase. We now have phone numbers available from different countries which includes iNUM and SMS. You can now get local phone numbers from around the world and map it to our soft switch. Our Points of Presence (POPS) are located in North America, Europe and Asia for redundancy. You can buy numbers on our flat rate pricing or per minute pricing depending on your need.